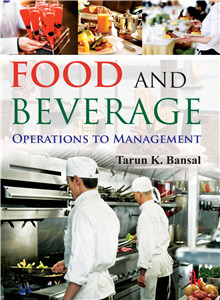 Tarun K Bansal | I.K International Publishing House Pvt. Ltd.
Tarun K. Bansal, Master's in Tourism, Bachelor of Science, Law and Hotel Management is serving as a faculty at the Institute of Hotel Management, Lucknow since 1988 and has wide experience of academic and hotel industry. He is the Panel member of AICTE, HRACC and State Technical University and State Technical Board. He delivers lectures on food and beverage and facility planning in the prestigious institutes of the country. Mr. Bansal is the counsellor for various programs offered by IGNOU. He is the author of Hotel Facility Planning and Hotel Engineering.